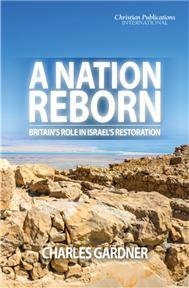 Describing the book as "magnificent", fellow journalist Christopher Proudlove comments: "It is a most important work which deserves to be widely read and is top of my list for anyone wanting to know about Israel." Clifford Denton, in his foreword, writes: "I wholeheartedly endorse this book…and hope it would find itself in the hands of people of influence in our nation to steer them towards thinking again…"
Christians and non-believers with an interest in world affairs, especially with regard to Israel's role. Church leaders who need an insight into this singularly important subject area.